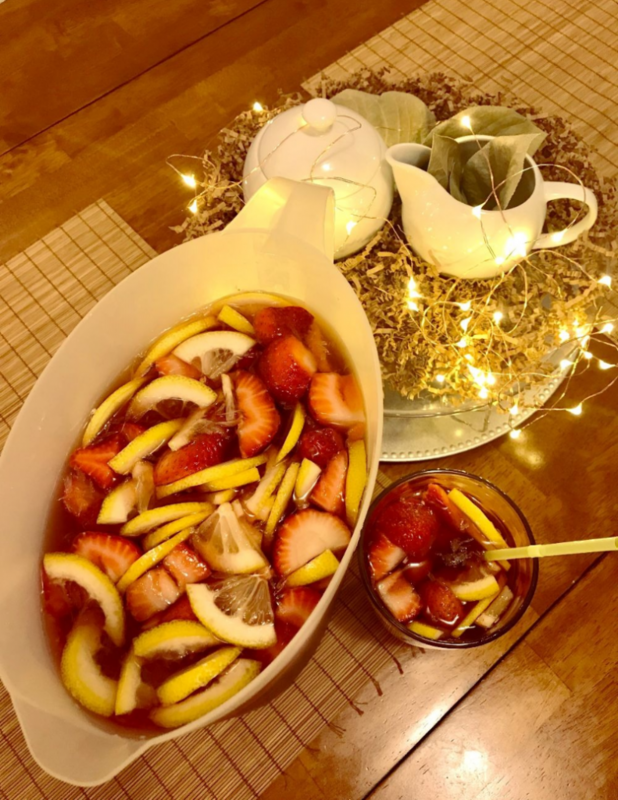 Are we too late in the game (summertime game that is) to be sharing a recipe for a very summery type drink? Well, if it is please forgive me. I’m not one to follow rules when it comes to which drinks/meals are appropriate for whatever time of the year it may be. Sweet potato casserole in springtime anyone? 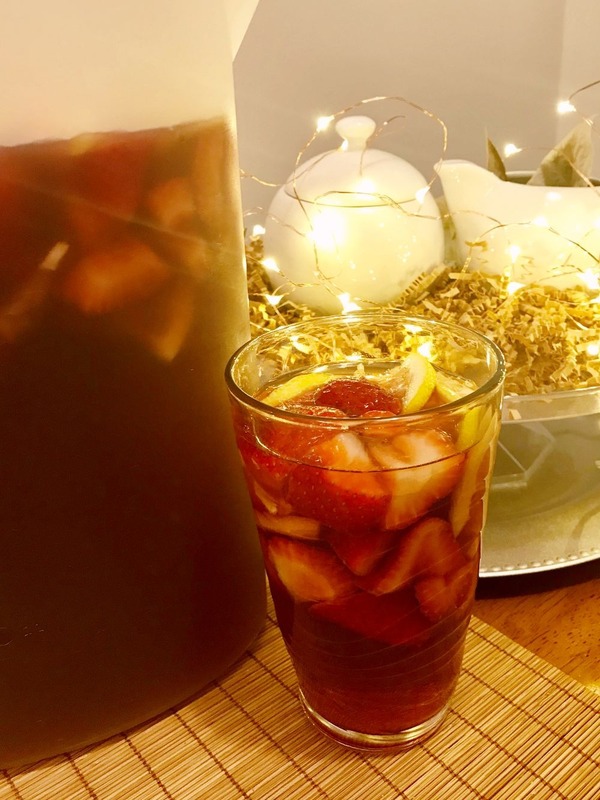 I’ve been making this berry lemon iced tea drink since early June and I have to say, it has become a keeper! I first made it on a Sunday afternoon. 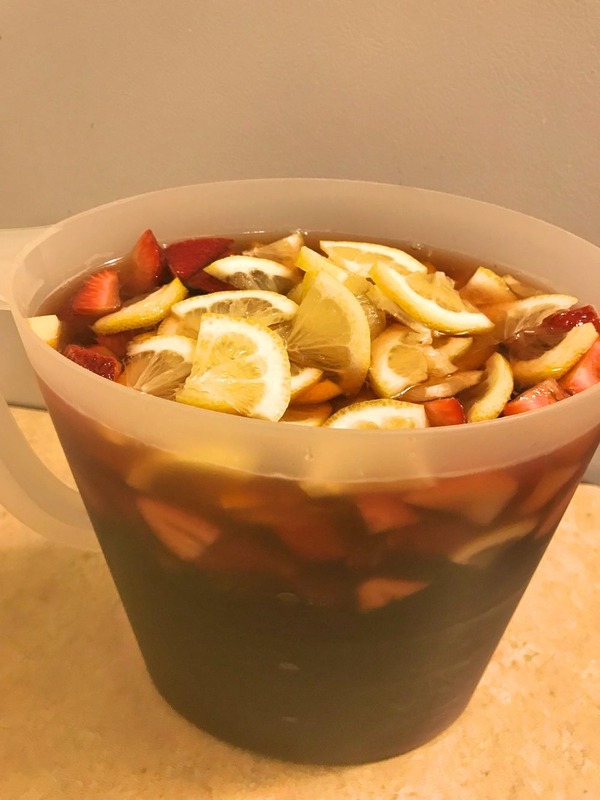 I was in the mood for a drink similar to this after seeing another fruity drink recipe that sadly had way too many ingredients I did not have on hand. I figured I could come up with something on my own to satisfy my taste buds. I went to take a look at what I had in my fridge. The first thing that caught my eyes were lemons. I knew I wanted to keep things simple. 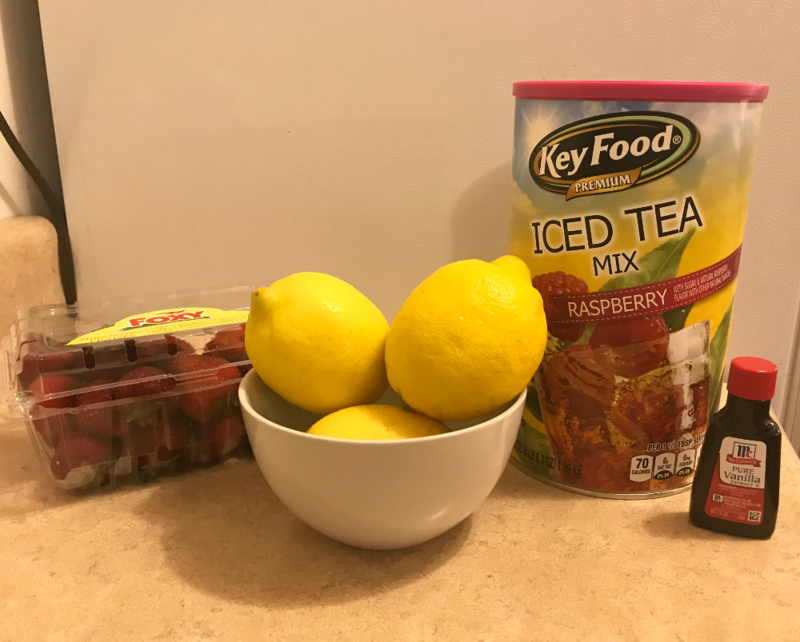 I figured mix those lemons in with our usual iced tea mix. I always have store-bought iced tea mix in my home. My mom always kept iced tea mix in the house so I guess now I’m following in her sugary footsteps. So I had lemons and iced tea mix. 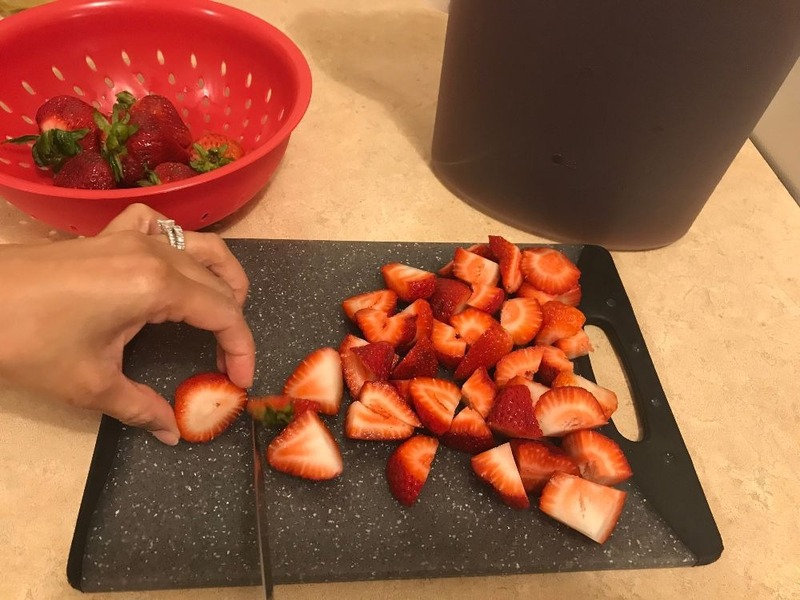 I ended up buying some strawberries on the way back home from church. But I didn’t stop there. While I was home cutting up the fruit and mixing the iced tea it hit me like a ton of lemons over the head, vanilla extract! Yes, I added vanilla extract. That’s because it probably is odd to add vanilla extract to a cold beverage but it worked! I only add a small amount so it’s barely noticeable. Just gives it a little something extra in the background. Below is the recipe but honestly making this drink is so easy that I shouldn’t even refer to it as a recipe. Ok, on with the steps you can follow if you want to try this drink. I didn’t get a picture of me adding the lemon juice and vanilla extract (by that point I was dreaming of my bed since I was working on this at midnight!) but once you add those in your done! Add the lemon juice, careful not to get any seeds into your juice. 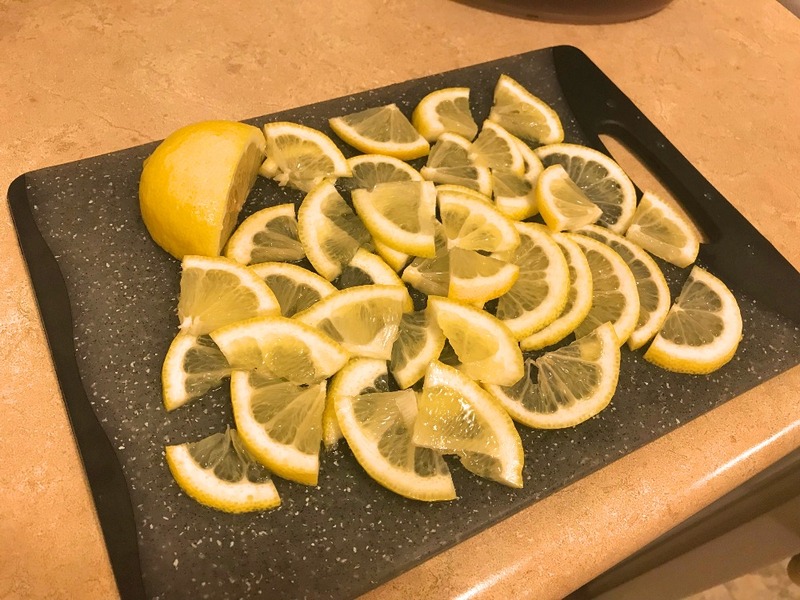 I squeezed my lemon over a separate bowl first. Stir everything to combine. All done! It’s good to go as soon as you finish making it and will only taste better and better as it sits. Something to keep in mind: use good vanilla extract. When I made this for the blog post, I used a different vanilla extract from what I usually use. It was cheaper so I thought I’d give it a try but I noticed the difference. It was still good but not as good as it was with my preferred vanilla extract (La Flor Brand). Hope you give this drink a try!